Basic Jam - Canning Simple Fruits - Canning Homemade! 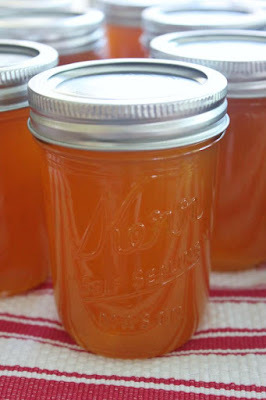 Some of the recipes missing from my site are the basics; Strawberry Jam, Peach Jam, Apricot Jam and fruits on their own. I know that those recipes are on the boxes of pectin, the Ball Blue Book, and all over the internet so I chose to concentrate of flavor combination that many would not thing of to change up their jars. But as the second year of having a FB page I am finding some of the newbies are looking to start with the basics and so I will work on getting them made and posted. I logged on yesterday to a few fantastic photographs of jams that Joanne made that she posted on my FB page that really got me excited about documenting some of the basic recipes. Joanne has started the spring canning season with two fantastic basics, Apricot Jam and Cherry Jam. I thought this was a perfect opportunity to showcase how simple they can be for new canners and the opportunity to show off Joanne's work. Here are the jams to start my series of the basics. Thanks Joanne for sharing them with me and all the newbies!! Cut and pit apricots. Leave skin on. Put apricots, lemon juice and sugar in pot and bring to a boil. Once you have a full rolling boil, add pectin. Bring back to a boil and cook 1 min. 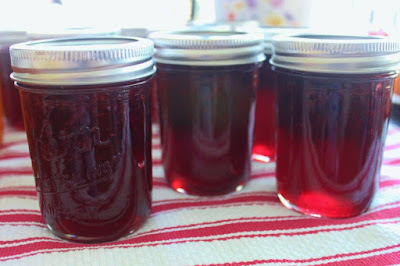 Pour jam into hot jars. Remove air bubbles and fill to 1/4" headspace. Add hot lids/rings. 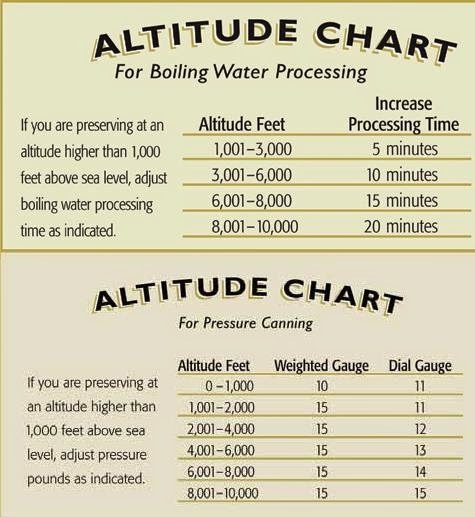 Process in waterbath at a full boil for 10 minutes. Remove and cool on a dishtowel on the counter overnight. Check for seal. Remove rings and store in pantry. Wash, stem and pit cherries. Cut up into small pieces. Add to pot. Add sugar and heat until rapid boil. Add pectin, bring back to a boil and cook 1 minute.